DISCOVER / What was Poe Reading? On December 21, four days before Poe’s planned Christmas Day marriage to Whitman, he checked out Stanley, vol 1, a two volume novel titled Stanley: Or, Recollections of A Man of the World. Published anonymously, it was later attributed to by Horace Binney Wallace. Wallace wrote under several pseudonyms and published in Burton’s Gentleman’s Magazine at the same time as Poe, with whom he corresponded. 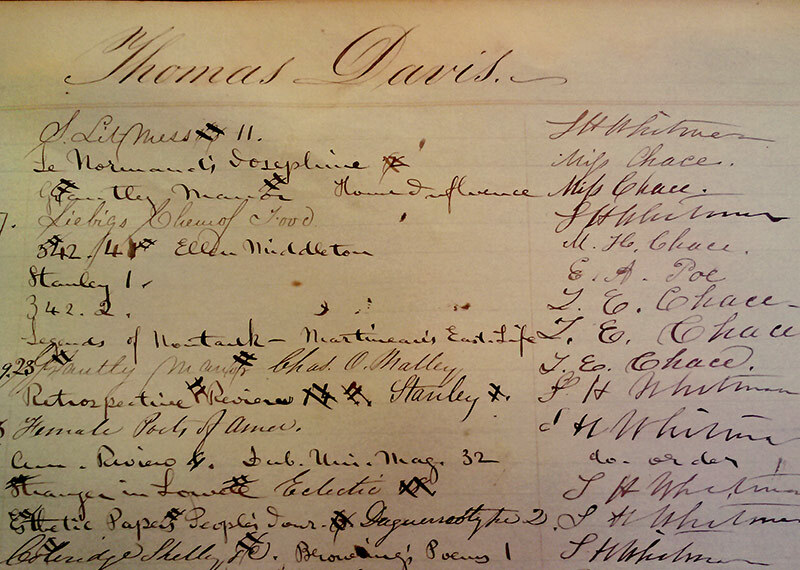 Poe used the share of Athenæum member Thomas Davis to borrow the volume, and his signature can still be seen in the Athenæum’s 1848 Charging Book (sixth from the top in the right-hand column). Two months after the end of their romance, Whitman took the book home to read in February. Poe was to die later that year on October 7th, 1849 in Baltimore. Despite the short-lived romantic attachment, Whitman continued to write about and defend Poe against his attackers until her own death almost thirty years later. 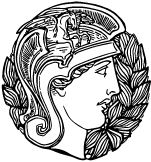 Click here to read the full text of Stanley.